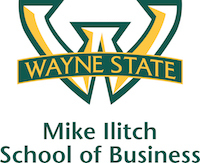 Michael Silvio, a Mike Ilitch School of Business part-time faculty member in global supply chain management, has been hired as vice president of logistics innovation at Surgere, an industry leader in providing visibility and control within a digitized supply chain, including RFID, robotics and advanced data analytics. Silvio is an automotive executive with 25 years of experience in global supply chain management. His responsibilities have included global logistics, customs, packaging, materials and purchasing, most recently at Cooper Standard Automotive, a tier one supplier based in Novi, Mich., where he was senior director of supply chain management for fifteen years. He has been an Ilitch School adjunct faculty member since 2013 and will continue to teach. He also sits on the board of directors of EWI Worldwide. Silvio’s new role will put him at the helm of Surgere’s newest vertical, logistics innovation. This includes a new finished vehicle and yard management platform called Hawkeye, a solution that monitors finished vehicles' location and disposition by leveraging multiple tracking technologies and sensors to feed a cloud based analytics and asset management system. Currently rolling out at an OEM in Canton, Miss., the industry can now successfully move beyond barcodes and make data available for real-time and advanced analytics. Over the next few months, Silvio will be presenting at events around the globe on a variety of topics including "The digital transformation of the automotive supply chain," "The smart packaging paradigm," and "Logistics innovation and impact."